It has been a while now since I presented the Memorial quilt I made for the only Fire Marshal to loose his life in 9/11. It was such a great project. When I work with families on quilts I always keep every single scrap until I know what the families want to do with them. And by every last scrap I mean EVERY label, button, seam, tiny sliver - everything is kept together until I know what the families wishes are. 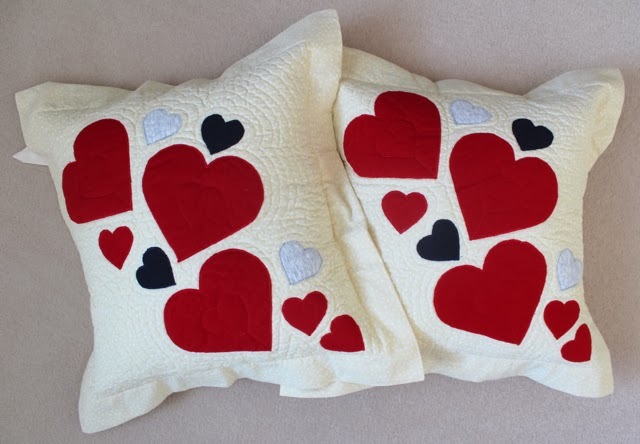 On this occasion the family asked for two small cushions - one for each of the grandchild. I made two 15" cushions from mixing the left over t-shirt scraps with some regular polyfill. 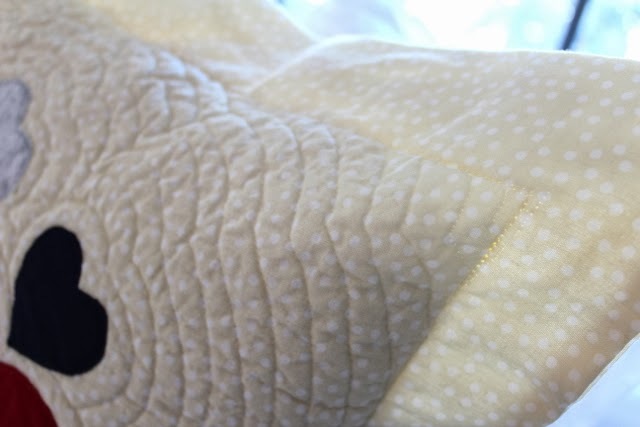 For the pillow covers I used the same material as the quilt - it is a cute pale yellow cotton polka dot. 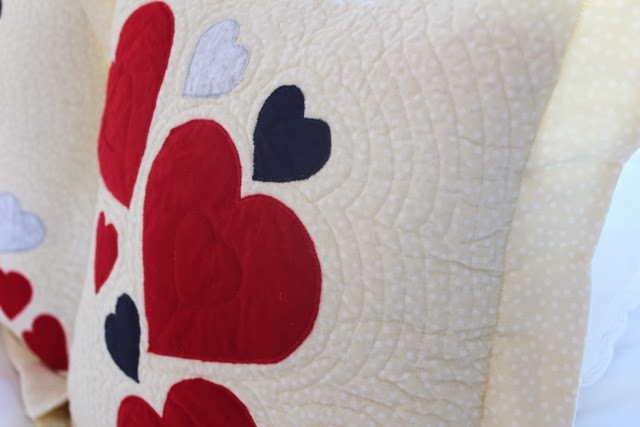 I took some larger scraps and cut some hearts out and quilted the front of the cushions in the same way that the quilt had been quilted (echoed lines.) 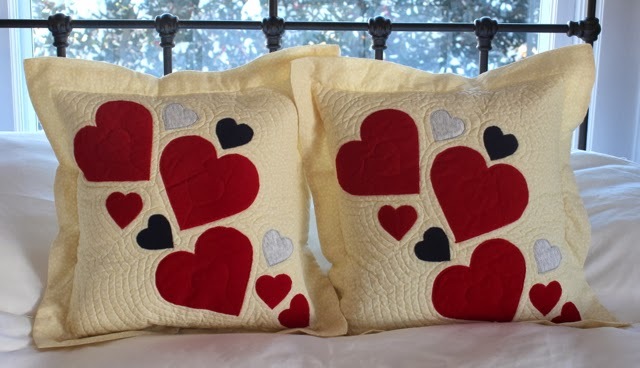 The cushions are really sweet and will look super cute with the quilt. The cushions weigh quite a bit due to their filling - it made me think about the weight of love - how heavily we can love people. My thoughts are with the family of the heroic Ron Bucca this valentines day. Those are beautiful and the loving thoughts behind them make them so very special. Thank you Sue. They are cute to boot. Such a special family & project to work on.